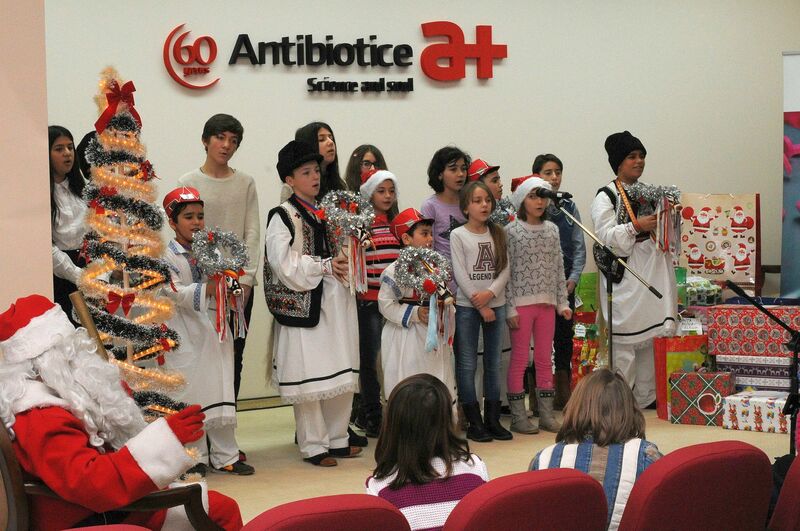 For the fourth consecutive year Antibiotics Foundation “Science and soul” organized campaign “Give from the heart! You can be Santa Claus’. This year the campaign was aimed at children 4 Orphanages in Iasi: CSC Bogdana – Bogdăneşti village, Veniamin Costache Services Complex, Complex Services and Placement Center Bucium in Iasi Ion Holban. With the help of tutors in the orphanage or by themselves, those 70 children aged 5 to 14 years sat on paper everything they want to receive from Santa. 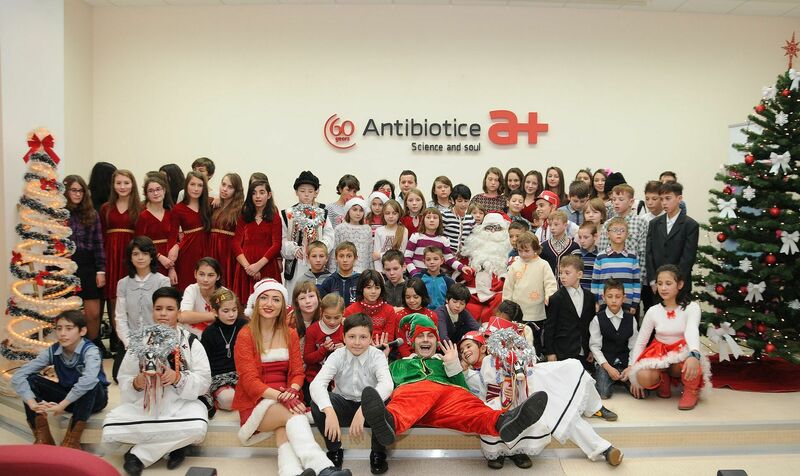 Then came the stirring their little letters in the hands of several employees of the company Antibiotice who enthusiastically took the role of “goblins” of Santa, just fulfilling the wishes of children. From disadvantaged backgrounds, with family or with family members left for other parts of the world children they wanted simple things: pencil cases, school bags, clothes, boots, books with stories, dolls or toy cars, bananas, oranges and sweets, but Santa and his elves endeavored to offer more than that. “This campaign has made us to go back to the mind and soul, while in childhood. 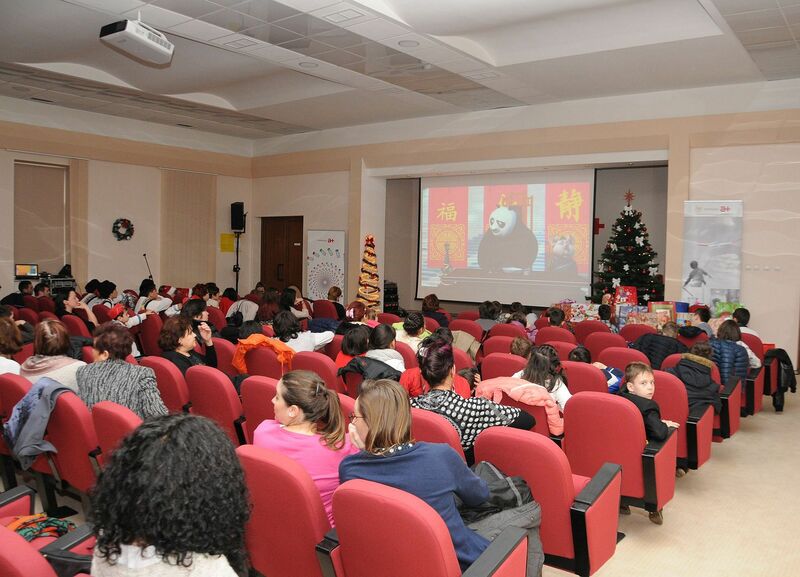 We thank all our colleges with big hearts who joined enthusiastically Foundation approach and have succeeded to bring a touch of joy to children that Santa may never came before. We thank this way and collaborators from the purview Ggenerale Directorate of Social Assistance and Child Protection Iasi, “said Ioana Tode, President of Foundation” Antibiotics-Science and Soul “. 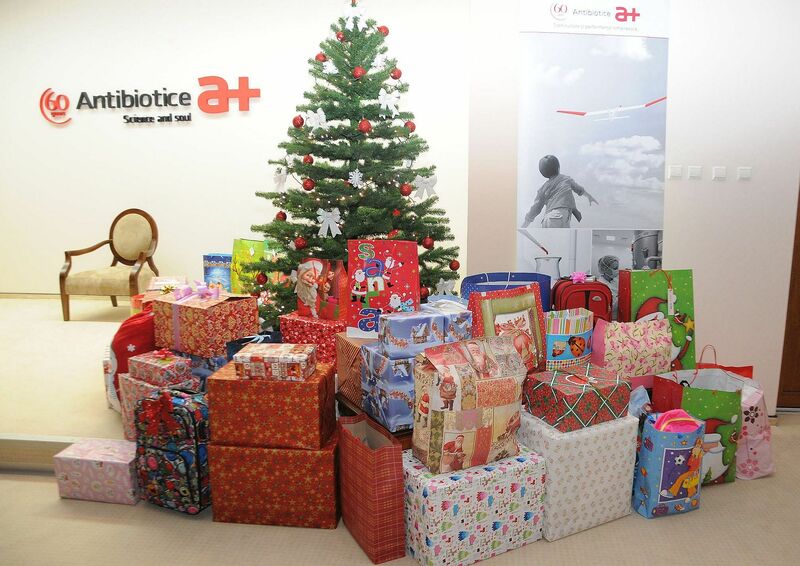 During the ceremony which was held around the Christmas Tree of Antibiotice on December 20, 2016, children were glad to meet him, many for the first time, Santa Claus and some elves who have fulfilled desires. In gratitude, the children were divided abundantly bright smiles and performed a short heart-warming artistic moment with Christmas Carols.